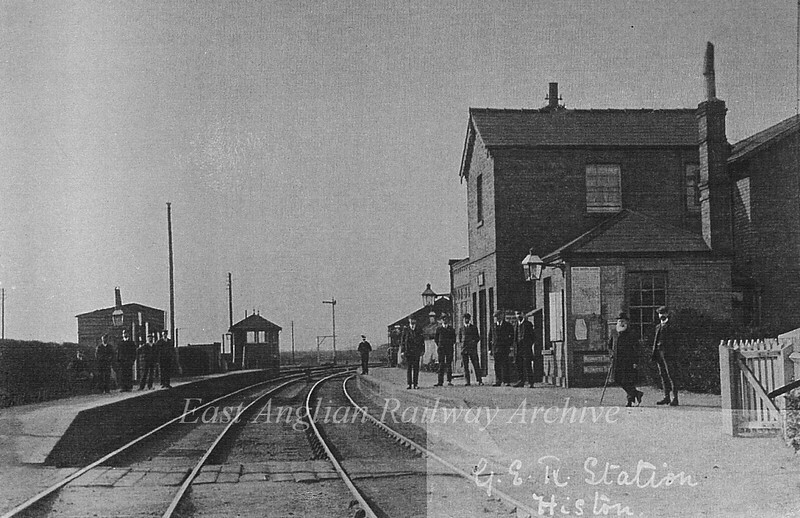 Histon Station and Staff in 1900. The Station Master, Charles Paige, is the man with the beard. Photo Alice Paige. With thanks to Mrs Eleanor Whitehead.